Leidy de Romero "I am validating this promotional code it works perfectly. 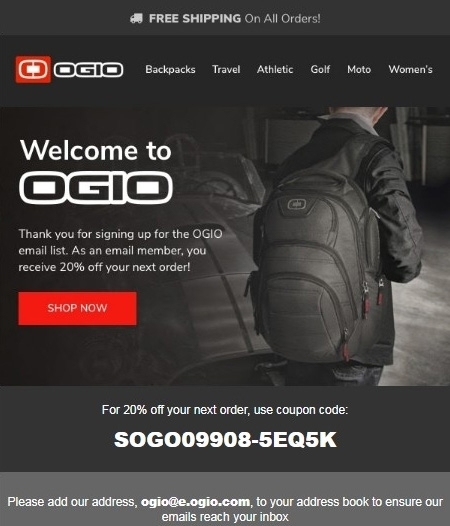 You only have to apply it in the purchase order, and you Get 20% Off Your Next Order at Ogio"
Felix Guzman I am validating that this deal works as described. 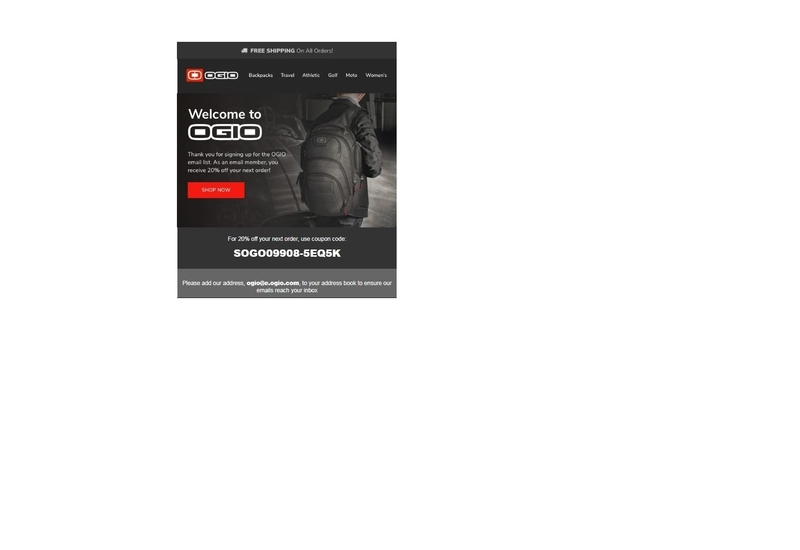 Enter code and Get 20% Off Your Next Order at Ogio. This is a limited time offer. luis g The code is valid. 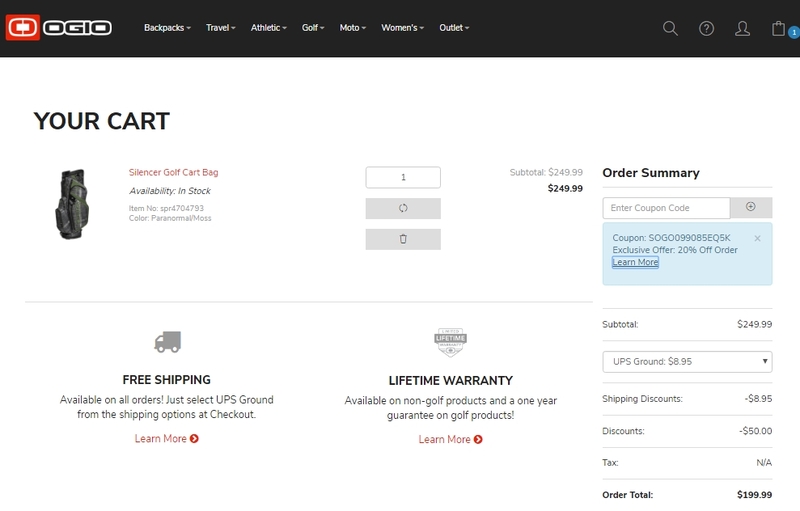 Good deal, add your item to cart, enter promo code and get 20% Off Your Next Order at Ogio. Christie Sinsuat Just tested this deal and verified that it works as described. @elmartinezm To get this discount, click the URL link on the product page, and then complete the payment process. 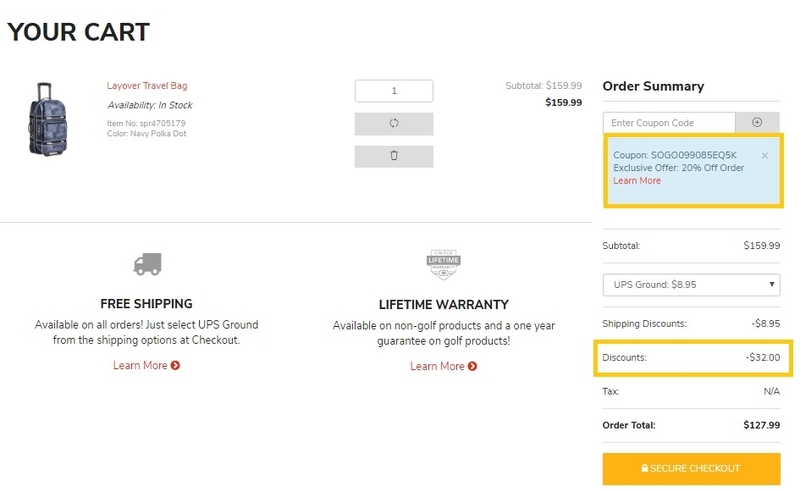 Enter a shipping address, choose a shipping method and enter your payment information. Review the details of your order. Click on Make your order and with that you can enjoy the promotion and its benefits. 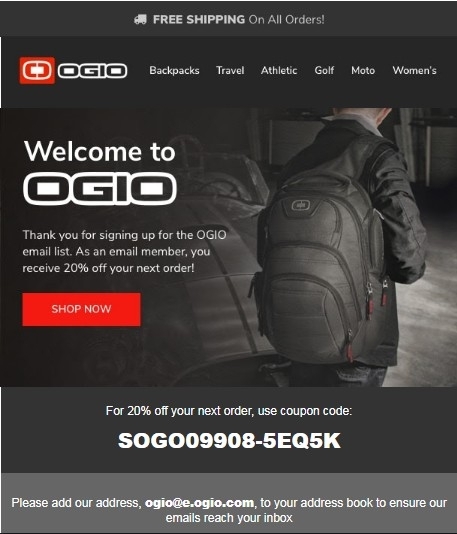 JOSÉ ANTONIO To get 20% Off Your Next Order at Ogio, you must copy and paste the following promotional code: SOGO09908-5EQ5K at checkout. It expires on September 28, 2017. Only one discount code can be applied per transaction. FREE SHIPPING On All Orders There may be some exclusions that apply to this deal. Shipping and tax will be calculated at checkout. FREE standard ground shipping on ALL orders available at www.ogio.com.GROUND SHIPPING (3 to 7 Business Days, FREE ground shipping on all orders, In stock items will ship within 24-48 hours), PREMIUM SHIPPING AVAILABLE(UPS Next Day, UPS 2 Day, In stock items will ship within 24-48 hours).All orders are estimated to ship typically within one to two days after the order is placed. Shipping days exclude weekends and holidays. At this time, we are currently unable to ship to Hawaii and Alaska. 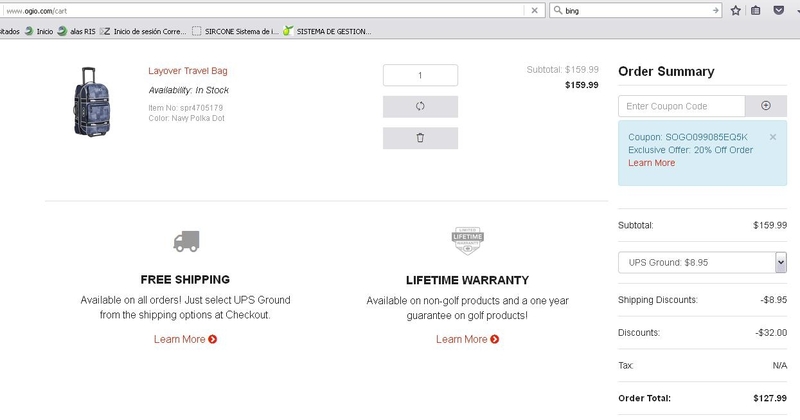 Most of OGIO’s product will ship from our California warehouse. All product will ship via UPS. Orders shipping to APO/FPO addresses will ship via US Postal Service. We estimate transit time for these orders to be 3-6 weeks, but cannot guarantee delivery times, so please allow plenty of time. We do not ship to PO Boxes.OGIO.com is for shipments being delivered in the United States only. OGIO ships Monday thru Friday (Holidays excluded). Shipping and tax will be calculated at checkout.